oaks Pandora 5 light twisted mirror black ceiling light, it is flush fitting and perfect for high or low ceilings. Oaks Wren 5 light chandelier with beautiful ceiling light is finished a gorgeous gold plated, bringing that finally touch to your home. 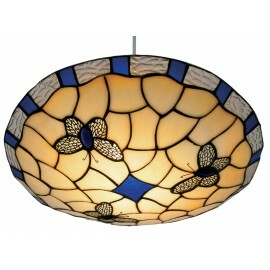 Oaks Tiffany non electrical ceiling light shade, this flush shade is made with blue and cream leaded glass. 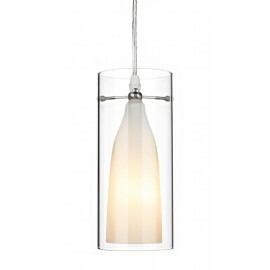 Dar Boda single double glass pendant with a satin chrome finish opal white inner glass/glass cleat cylinder, simple but elegant product. 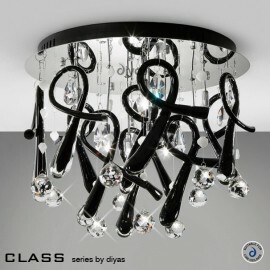 oaks Pandora 3 light twisted mirror black ceiling light, it is flush fitting and perfect for high or low ceilings. Oaks Wren 3 light chandelier with beautiful ceiling light in gold plated finished off with a clear crystal glass, bringing that finally touch to your home. 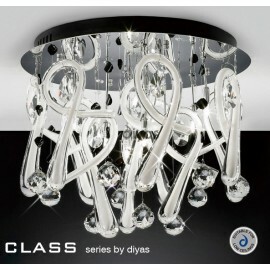 Dar duchess 6 light flush fitting Polished chrome finish compete with luxe crystals. Dar Duke 3 light lantern style pendant, this ceiling light is finished in a polished chrome which gives it that extra sparkle. Endon Preston Non electric pendant finished in shiny white which fits on to exsisting lamp holder. oaks Pandora 5 light twisted antique brass ceiling light, it is flush fitting and perfect for high or low ceilings.